Problems I know. Problems I don't. As that total creeps ever higher, I’ve been thinking more and more about the next steps for this series. Once I cross the 300k mark, the Chronicles of Mar will be a complete trilogy, albeit in rough first draft form only. It’s a trilogy that takes in disparate threads of genetic manipulation, dystopian corporate rule, artificial intelligence, terrorism, and telepaths. Oh, and alien sea monsters. 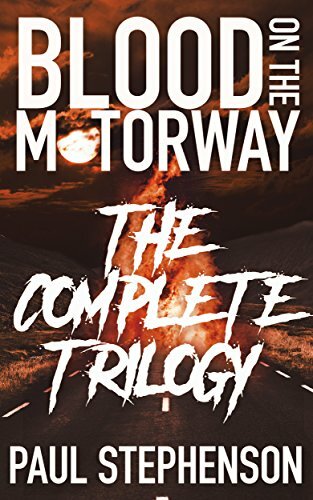 That’s quite a lot more going on than ever happened in the Blood on the Motorway series. That full trilogy amounted to just shy of 240,000 words, during which I managed to encapsulate full character arcs for five main characters and take in the complete destruction of humanity. With this series, I’ve already got more words, and yet I’m only about a third of the way through the main story. That's right, this is only the first trilogy in a trilogy of trilogies, so the whole series should end up at roughly ONE MILLION WORDS. Still, in roughly 20,000 more words time I’ll have finished the first draft of the full first trilogy, which is a good time to take a break from it and review what I have. I already know about some of the huge problems that are buried in there — some characters that are really not yet fully fleshed out, some plot points that don’t hit with the oomph that they’re going to need, and some huge issues with the world building — all to be expected when you’re flying by the seat of your pants and making it up as you go along, which is pretty much what I’ve been doing so far. What worries me more is not the problems I know about, it’s the problems I don’t. These, by their very nature, are tricky little bastards, because I don’t know what they are. Maybe there’s a nest of spiders hanging out in the second book, or a plot hole the size of an ice moon lurking midway through the third. Maybe, after all this, I’ll discover that the 300,000 words I’ve written are just endless receptions of the phrase ‘all work and no play makes Paul a dull boy’. Still, as I bear down on being able to write ‘The End’ on the third book, I’m quite excited to see what I’ve got. It could be dribbling nonsense. It could be a breathtaking work of unparalleled genius. Who knows? I mean, it’s probably not, because of all the problems I mentioned earlier. Either way, I’m looking forward to getting under the hood to find out what I’ve got.